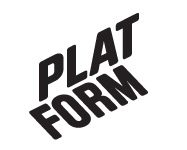 February 2004 – Platform r.f. Seminar on artist-run initiatives held in Vancouver, Canada. The members of the association were offered the possibility to participate in the exhibition and ten artists answered the invitation: Heini Aho, Annika Dahlsten, Reino Koivula, Jouko Korkeasaari, Sanna Syvänen, Oona Tikkaoja, Panu Thusberg, Matti Vainio, Paula Väinämö and Merja Ylitalo. The exhibition consists of black and white drawings made in a large scale on the walls, which form a collage of images that stretch out like a city landscape, an imaginary. Different looking curtains are placed in front of the drawings, which can be used by the spectator to reveal and cover the landscape. The curtains imply the characteristic feature of our culture of seeing the home as a private sphere, in opposition to the public space. Our image of the city protects the private from the public insight in the form of curtains. The drawing on the other hand is a manual and individual expression, a kind of shaper of identity and image, just as subjective and unique as the self in itself. The repetition, the reproduction of the drawings takes a position on the collective, the common city identity, whose conditions are defined by a contextual constraint. The members of the association were offered the possibility to participate in the exhibition, and 10 artists answered the invitation: Heini Aho, Annika Dahlsten, Reino Koivula, Jouko Korkeasaari, Sanna Syvänen, Oona Tikkaoja, Panu Thusberg, Matti Vainio, Paula Väinämö and Merja Ylitalo. The exhibition consists of black and white drawings made in a big scale on the walls, which form a collage of images that stretches out like a city landscape, an imaginary. Different looking curtains are placed in front of the drawings, which can be used by the spectator to reveal and cover the landscape. The curtains imply the characteristic feature of our culture of seeing the home as a private sphere, in opposition to the public space. Our image of the city protects the private from the public insight in the form of curtains.